At Elegant Dentistry we offer a wide range of quality general and restorative dentistry procedures. 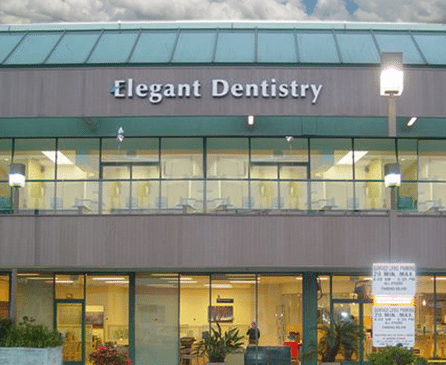 At Elegant Dentistry we provide top quality cosmetic dental procedures in all of the Marina Del Rey. Our oral surgery and periodontal team provides quality dental implant placement with high success rates. A complimentary consultation is offered to Marina Del Rey patients who would like to get an idea of what could be done to address dental concerns they may have. Our Consultations are designed to show you your dream smile, and arrive at a treatment plan to create that perfect and healthy dream smile right here in our Marina Del Rey dental office. 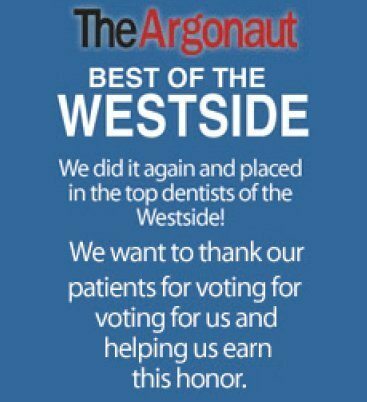 Come visit us for a free consultation with a Marina Del Rey dentist, or give us a call at 310-827-2792 to schedule an appointment. At Elegant Dentistry our experienced team of dental professionals offers a wide range of dental services. We provide cosmetic and restorative family dentistry, including specialty services such as, pediatrics, endodontics (root canals), periodontics (implants, etc. ), sleep apnea devices and more. Serving Marina Del Rey, Playa Del Rey, Venice, Culver City, Mar Vista, and Santa Monica, California. We accept most dental insurances, and offer a free eligibility check. Come visit us for an elegant experience. Invisalign, also known as clear aligners are orthodontic devices used to adjust mal-aligned teeth as an alternative to conventional dental braces. Invisalign does not involve wires, brackets, or elastics as traditional braces, but a transparent custom fit made from BPA free plastic that is very aesthetically pleasing. Do you snore? Sleep apnea is a sleep disorder that occurs when a person’s sleep is interrupted. The interruption of breathing happens up to a hundred of times causing the brain to receive insufficient oxygen. At Elegant Dentistry we have designed special sleep apnea devices. Oral hygiene and periodontal health is very important for your well being. Not taking care of your mouth can lead to numerous dental problems, such as gum disease, bad breath, and cavities. Preventive care is important and is initiated by seeing your dentist and dental hygienist every 3 to 6 months. Veneers are made of a thin cosmetic layer of porcelain or composite material. They require very little enamel removal from the surface of each tooth. For more effective and efficient treatments, some of our patients opt for professionally crafted whitening trays that are developed by our Marina Del Rey dental center. Dental implants are used to replace the roots of missing teeth. They’re surgically implanted and anchored to your jawbone to give the dentist a place to attach a newly created tooth.